To copy the html code to put on your website, go to "View Source" and then copy the html from Start of The Backstreet Boys Webring to End of The Backstreet Boys Webring. Then you will need to change the following info for your webring html code: E-mail, Name, Site ID. 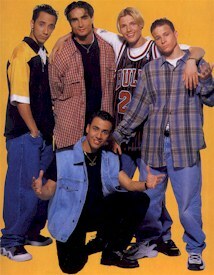 You will need to save the picture of the Backstreet Boys for the picture to work and show on your webring. Join The Backstreet Boys Webring.